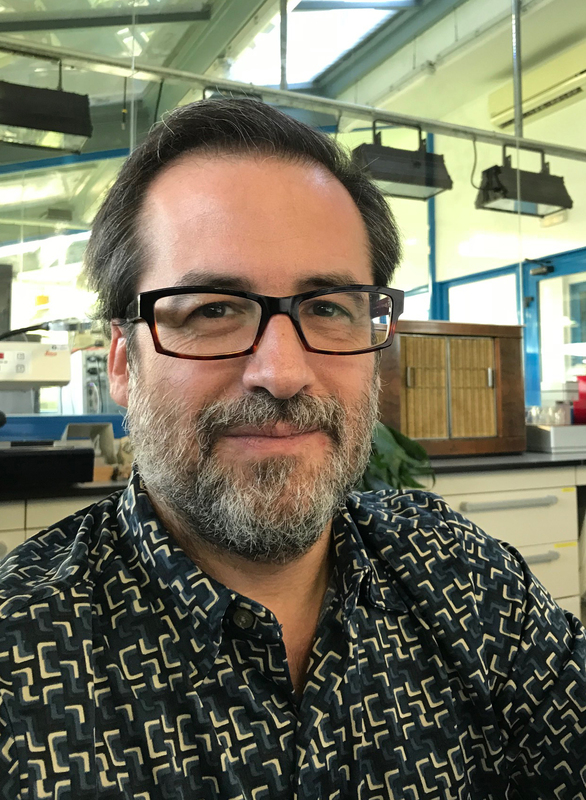 Eduardo González Pastor (Madrid, 1967) is a research scientist at the Center of Astrobiology in Madrid, Spain. He received his PhD in Biology (Biochemistry and Molecular Biology) by the Universidad Autónoma in Madrid in 1998, studying the “Structure and regulation of the operon involved in the biosynthesis and exportation of the microcin C7, an antibiotic peptide produced by Escherichia coli which inhibits protein synthesis”. As Postdoctoral researcher (1999-2003) he completed his formation with Prof. R. Losick at Harvard University (Cambridge, USA), specializing in social behaviour and multicellularity in populations of Bacillus subtilis. In addition, he contributed to the construction of the first DNA microarray of this bacterium, to investigate the genes differentially expressed during sporulation. At present he is leading a research group working on two topics: i) study of molecular mechanisms of adaptation of microorganisms to extreme environments (Iceland, Antartic, Rio Tinto, hypersaline ponds, etc) using metagenomics and metatranscriptomics tecniques, and their biotechnological applications. ii) gene transfer in B. subtilis populations by secretion of extracellular DNA.